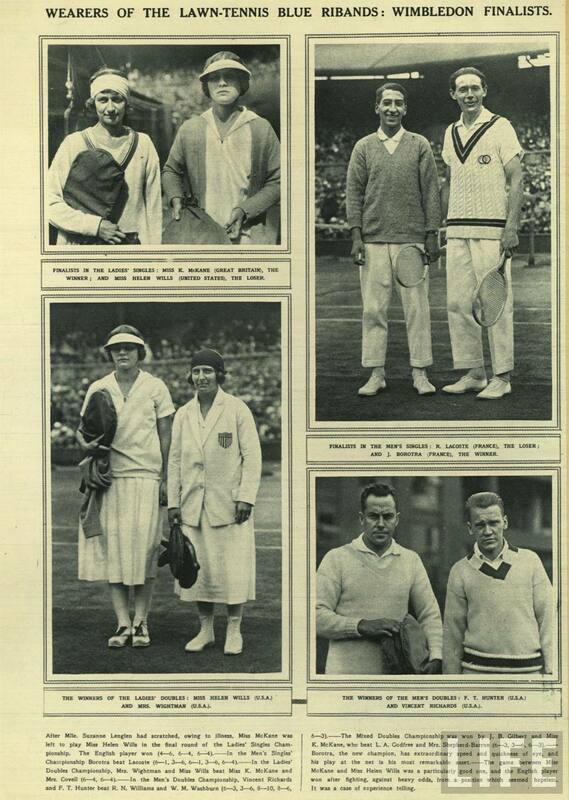 SOME COMPETITORS IN THE ALL-ENGLAND LAWN TENNIS CHAMPIONSHIPS AT WIMBLEDON. THE WORLD'S RACKET CARNIVAL. 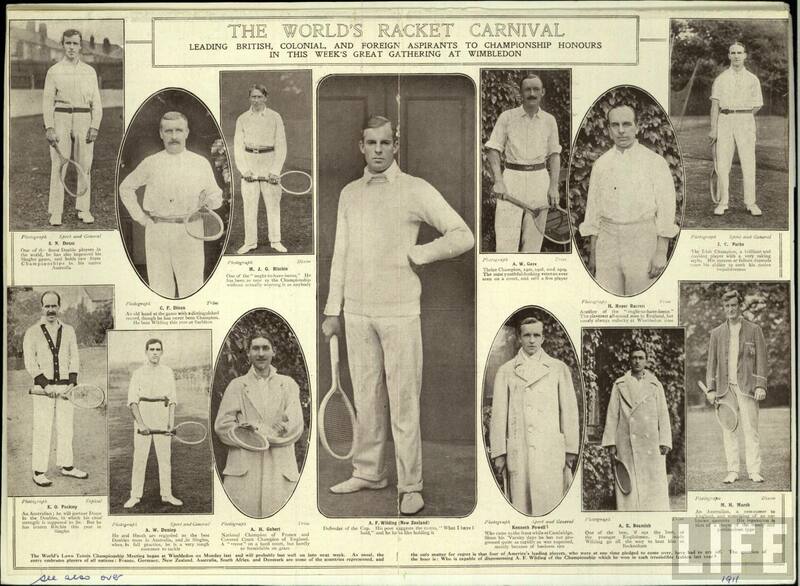 Leading British, Colonial, and foreign aspirants to championship honours in this week's great gathering at Wimbledon. WEARERS OF THE LAWN-TENNIS BLUE RIBANDS: WIMBLEDON FINALISTS. 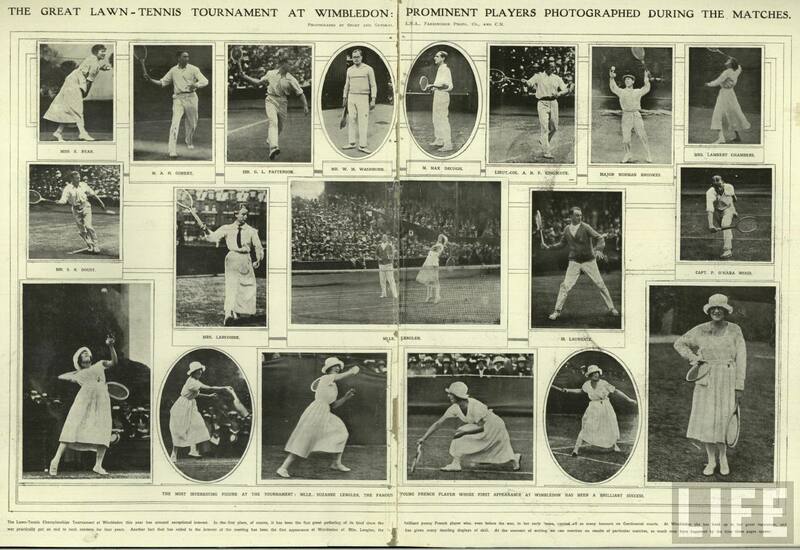 Rene Lacoste, top right. 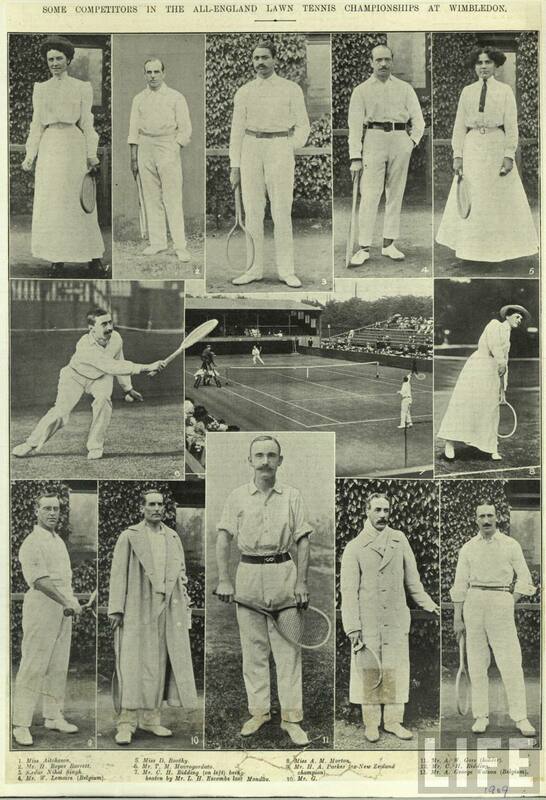 THE GREAT LAWN-TENNIS TOURNAMENT AT WIMBLEDON: PROMINENT PLAYERS PHOTOGRAPHED DURING THE MATCHES. THE KING: WIMBLEDON INAUGURATED: FAMOUS PLAYERS. Mlle. 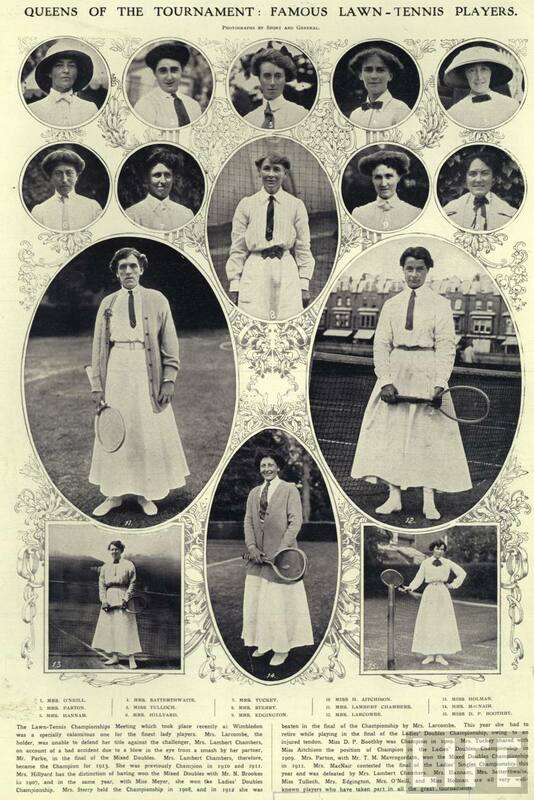 Suzanne Lenglen, top right. 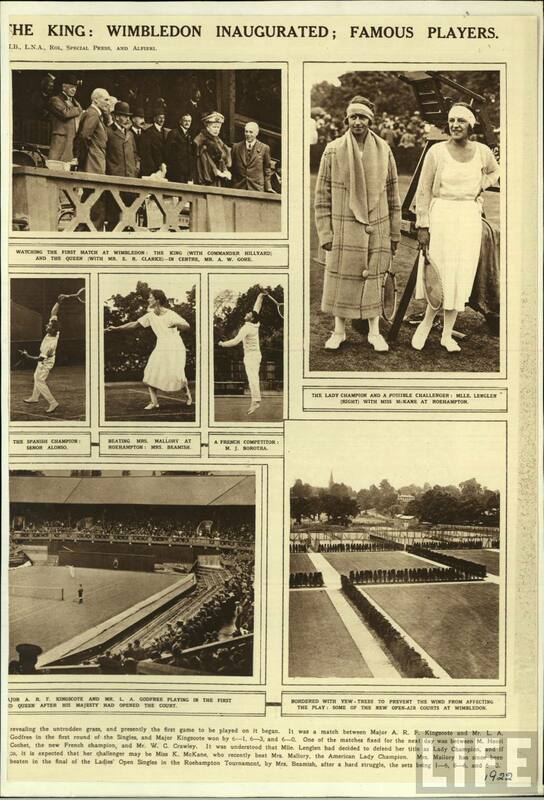 QUEENS OF THE TOURNAMENT: FAMOUS LAWN-TENNIS PLAYERS; WIMBLEDON. Thanks, that’s very nice to see all those old pictures. 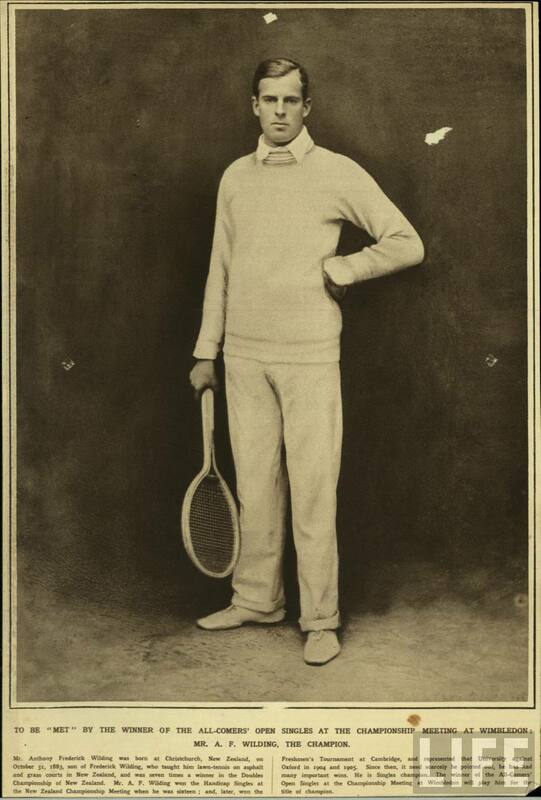 After Winbledon, it shows us how our sport has evolved (and the faschion which goes with it). Not to be a stickler, but I believe your quote was from Jimmy Connors, not Jimmy Carter. Ha. Next time I’m smoking that stuff, I’ll be sure to share. Good post JP…I love the formality of the game. On more than several occasions its made quality contributions to the prep set.